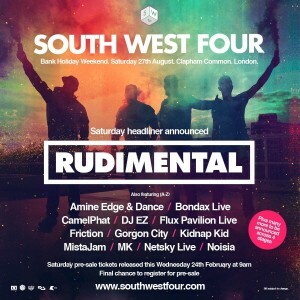 Hackney dance group Rudimental have been announced as Saturday night headliners for this year’s South West 4 Festival. 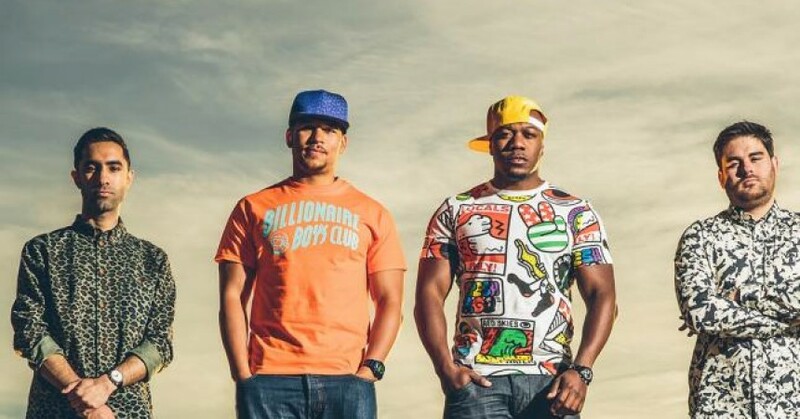 Rudimental have a busy Summer ahead, headlining Wild Life, two huge outdoor Forestry Commission gigs and Kendal Calling and will join the already announced Sunday headliners Above and Beyond and Chemical Brothers at the the top of the bill. Saturday will also feature performances from Amine Edge & Dance, Bondax Live, CamelPhat, DJ EZ, Flux Pavilion Live, Friction, Gorgon City, Kidnap Kid, Mistajam, MK, Netsky Live and Noisia. 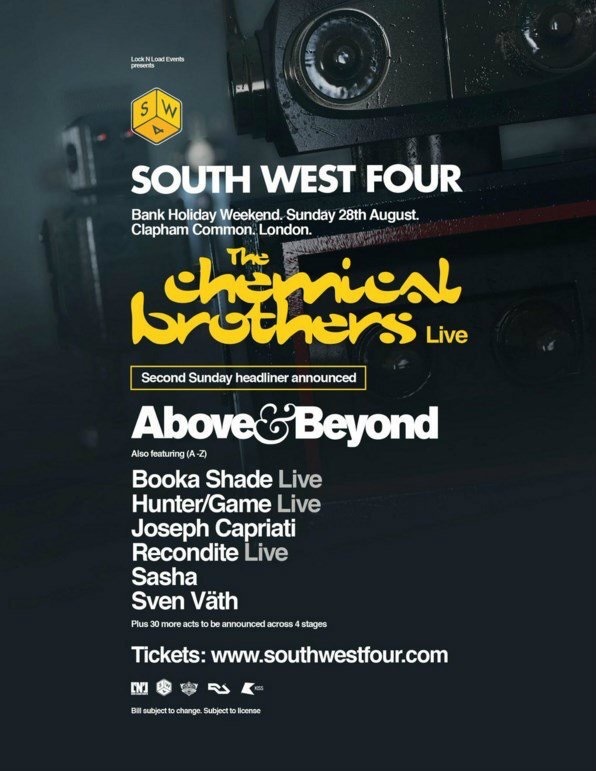 Sunday will see appearances from Booka Shade Live, Hunter/Game Live, Joseph Capriati, Recondite Live, Sasha and Sven Vath, with thirty further acts to be announced across four stages. 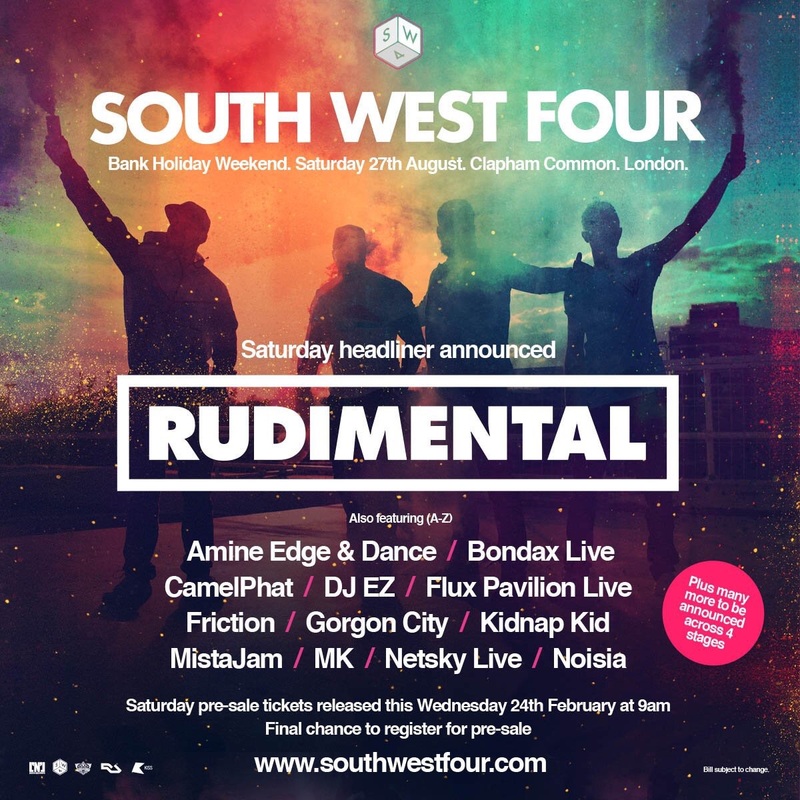 Last year, Faithless and Skrillex headlined SW4, with weekend performances coming from Eric Prydz, Example, Fatboy Slim and Basement Jaxx. 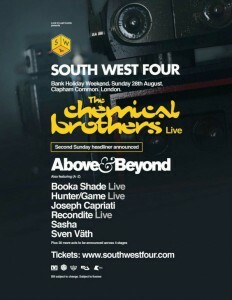 Saturday presale tickets on sale Wednesday 24th February! Sunday tickets on sale now!